GuruPlay Poker is on the OnGame poker network, a long established network which is open to players outside of the US. 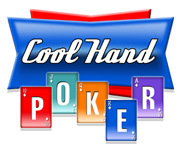 Players can enjoy cash games, Texas Holdem and Omaha. Guru Play has a decent selection of bonuses on the offer – there are sign up bonuses for live casino and poker section, but you can also count on weekly bonuses in the live casino and some game-specific ones for poker users. All of these bonuses require a deposit, and it is possible to redeem them with a special coupon code. Apart from this, in the poker section you can also collect Guru points, which can later be turned into bonus. Considering the total amount of bonus money available Guruplay Poker, these promotions should by no means be neglected. Player Bonus: 100% up to $600 – Bonus Code: POKER100. Mid-Week Freeroll on Wednesdays with $200 prizepool. $5.50 buy-in tournament on Tuesdays and Thursdays.